Newport offers an array of excellent restaurants and pubs, which serve food throughout the year, and the majority are within a short walk of Cnapan. Below are just a selection of the eateries in the locality. We do advise, especially in the busier months to book your table in advance as Newport can be very busy. ​If you are a party of 18 or more you could have an exclusive dining party at Cnapan. 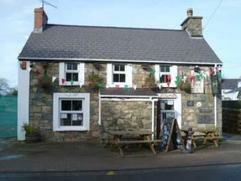 One of Pembrokeshire's premier gastro pubs. Excellent food, which you can chose to eat in the separate restaurant or al fresco in the summer. You are advised to book ahead as it can be very busy, even out of season. 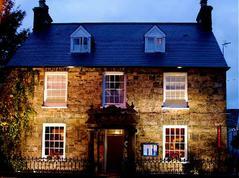 Llysmeddyg offers delicious fine dining in a beautiful Georgian house. ​You can chose to eat in the restaurant or the comfy cellar bar. In the summer the kitchen garden is open. 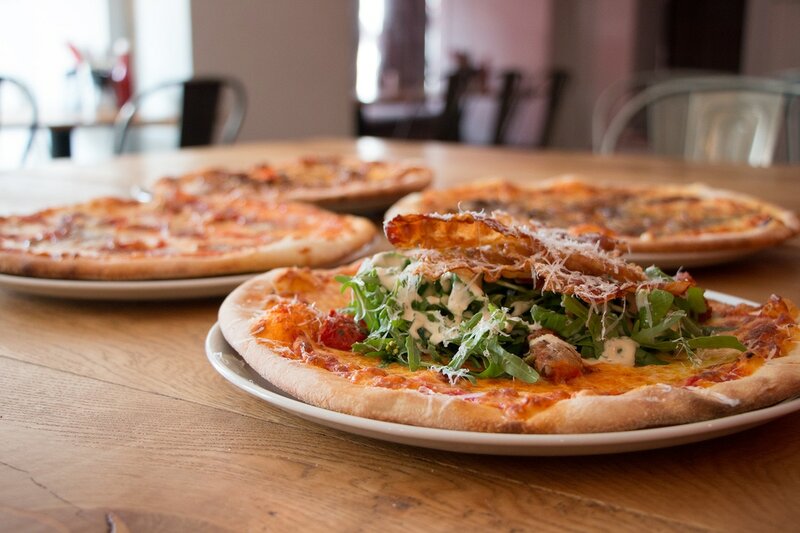 Serving fantastic homemade pizzas and burgers. The place has a real buzz and is very popular, especially with children. The Canteen also offer a takeaway service (Wed-Sun). ​& cosy café then look no further. Open Fri & Sat night for dinner. Under new management, Glyn and Alison will give you a fabulous welcome. Serving pub classics as well as daily specials. Newport's "Curry House" offering a wide selection of curries as well as the more traditional bar meals. ​and fish nights on Thursday. 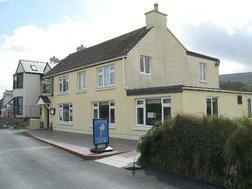 A beautiful location right on the seafront at the Parrog. Family run, Morawelon serve home-cooked lunches to suit every taste. Offering views over-looking Newport bay, the cafe (part of the golf club), offers breakfast, lunch and refreshments throughout the day. Formerly the sessions house, recently converted into a lovely cafe, serving breakfasts and lunches, with an added bonus of a fantastic climbing wall to keep the kids amused. 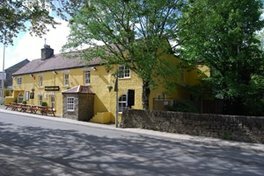 Set in idyllic surroundings along side the river Nevern. 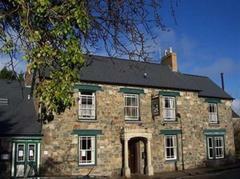 The Llwyngwair manor are open for bar meals from Monday until Saturday. Now relocated to Tabor chapel in Dinas. Open for coffees, lunches and afternoon teas, their Portuguese tarts are a must.